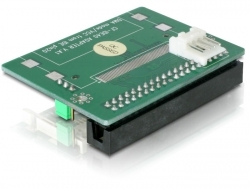 This Card Reader by Delock enables the application of a Compact Flash card via 40 pin IDE interface. 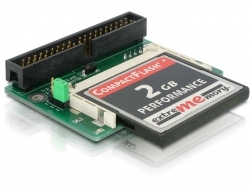 Since this Card Reader is bootable you can also use it as HDD and install a operating system. 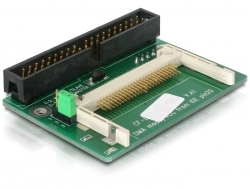 For connecting the Card Reader you need a 3.5″ IDE connecting cable. flash media card will be required to use these modes.